Sunday we start our walk at the MGM Grand. Mary wants to see the lions. Unlike most other casinos, the MGM has signs everywhere allowing us to find our way around. We locate the lions easily. 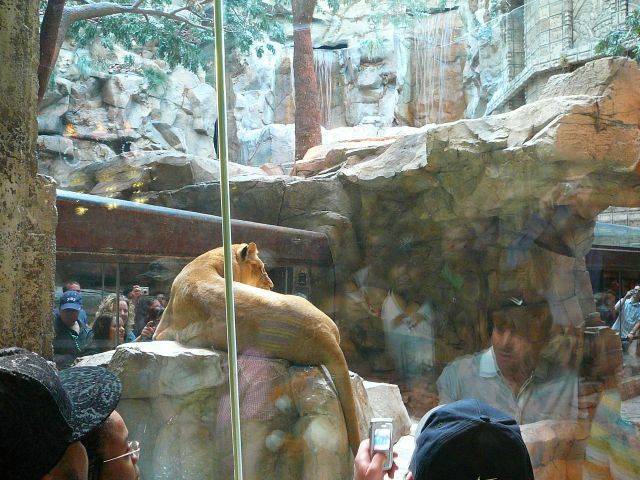 They have several lions that take turns in the display area. The rest of the time, the lions live on a ranch out of town. What I can't find are all the rides they used to have out back in the early 90's. We discover that trying to turn Las Vegas into a family fun destination was a huge failure. All the rides and kid's attractions were torn down. Las Vegas is for adults.